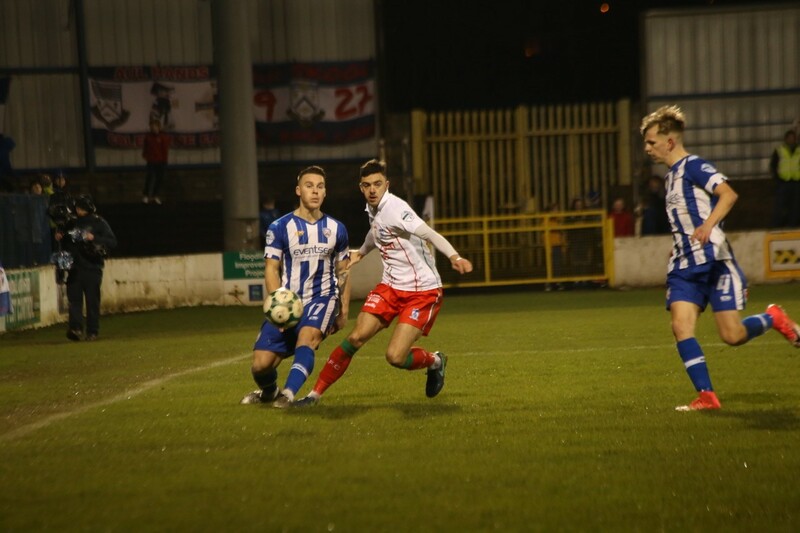 In truth, it was a poor game of football at The Showgrounds but it was a welcome three points for the visitors who worked tirelessly hard to restrict Coleraine to limited chances. The home side threatened from distance in both halves, whilst McCabe and Stephen Hughes missed glorious efforts to seal a comprehensive victory on the North Coast for Darren Mullen’s side. Newry almost took the lead straight from the kick-off as Declan Carville picked out the run of McCabe but the striker could only fire straight into the arms of Chris Johns inside 14 seconds. 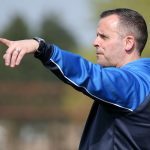 The home side managed to get a foothold into the game and threatened when the in-form Darren McCauley forced Steven Maguire into tipping the ball around for a corner. 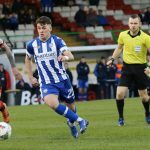 It would be the Bannsiders who would carve out the next opportunity as a strong run from Josh Carson picked out Ciaron Harkin at the edge of the box but Maguire was there to deny the midfielder. On 35 minutes, clever play by McCauley evaded the challenge of Darren King and his cross met Harkin but the Northern Ireland under-21 international failed to hit the target. Darren Mullen’s side would then take the lead as a clever pass from Stephen Hughes released McCabe. The 21-year-old – who scored 24 goals last season – managed to get his first in the top flight as he cleverly lobbed Johns from outside the box. The Irish Cup holders shuffled their pack at half-time and brought on Eoin Bradley to grab an equaliser and they threatened on 61 minutes as Carson cut inside and Maguire was alert to keep his strike at bay. In a game that lacked any creativity, McAree’s side were only creating efforts from distance as McGonigle and McCauley fired aimlessly wide as frustration began to creep in at The Showgrounds. City were looking to threaten on the counter attack and should have put the game to bed on 80 minutes as Montgomery picked out the run of Stephen Hughes. The former Warrenpoint Town man was one-on-one but Johns denied the attacker from close range. It would be the visitors who would have their head in their heads on 84 minutes as Carville found McCabe but the striker fired over the bar. 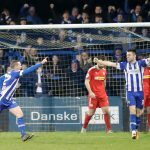 The win sees Newry move up to 10th spot in the Danske Bank Premiership for 24 hours at least, whilst Coleraine are now three games without a win in the Danske Bank Premiership. 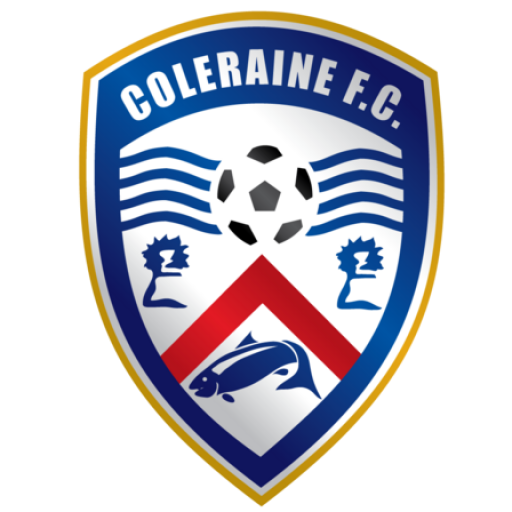 COLERAINE: Johns, Mullan, Harkin, McCauley, Lowry (E. Bradley ’46 mins), Carson, McConaghie, Burns (Gawne ’80 mins), O’Donnell, McGonigle, Canning. Subs Not Used: Doherty (GK), Douglas, Crown, Whiteside, J. Bradley. 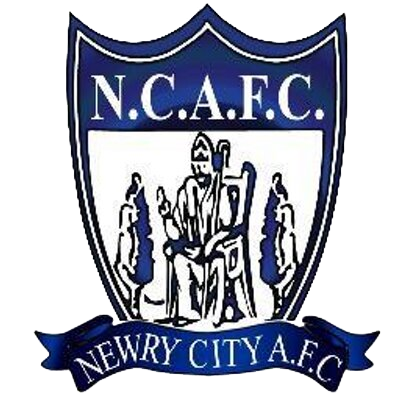 NEWRY CITY: Maguire, King, Noonan, Boyle, McCann, Carville, McCabe, S. Hughes, M. Hughes, Lavery (Teggart ’90 mins), Montgomery. Subs Not Used: Hunter (GK), Walker, Rushe, Healy, Durnin, McCullough.